The old store was deemed repairable, which means they could have done like many other businesses did, removing waterlogged drywall, drying out the building, and then remodeling. However the restaurant was originally built in 1991, when McDonald’s purchased the old Queen City Car Wash, and demolished it to expand the existing restaurant. The restaurant had also underwent a major remodeling in 2006. “The old building was too out of date. The McDonald’s Corporation is in the planning process to remodel every McDonald’s in the United States to give its stores a more modern look, with European styling. We worked hand in hand with the McDonald’s Corporation and the insurance company in coming to the decision to build a totally new restaurant.” said Larson. The Building and Codes approval process is already a complex process, with additional complexity being added due to the store’s proximity to one of the busiest intersections in the state of Tennessee, they had to coordinate the planning the entrances and exits from the parking lot with the Tennessee Department of Transportation. “People would ask me why is it taking so long for the restaurant to reopen, and I had to explain that we were pushing really hard to get this done. 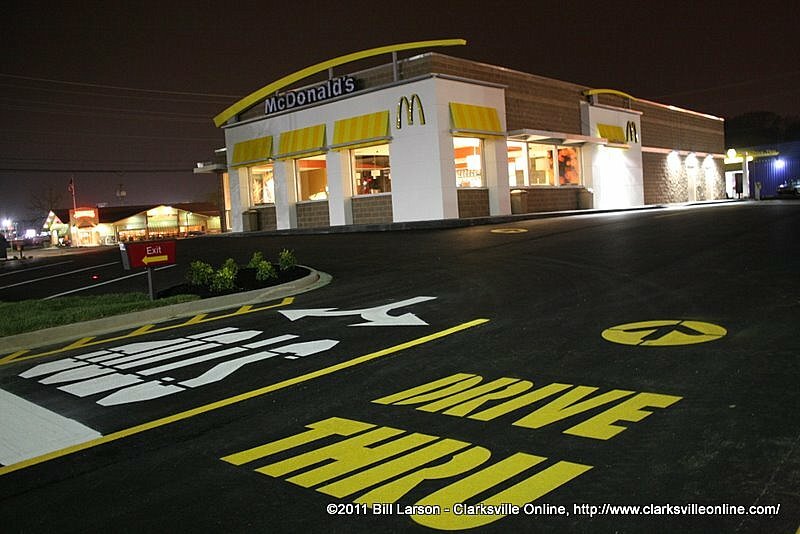 Normally it takes 3 years to go through the process of building a McDonald’s from starting with planning the design and picking the site locations, and we did this in only 10 months,” said Larson. Indeed the actual construction only took 83 days, and was handled by the Conseco Group out of Nashville, TN. 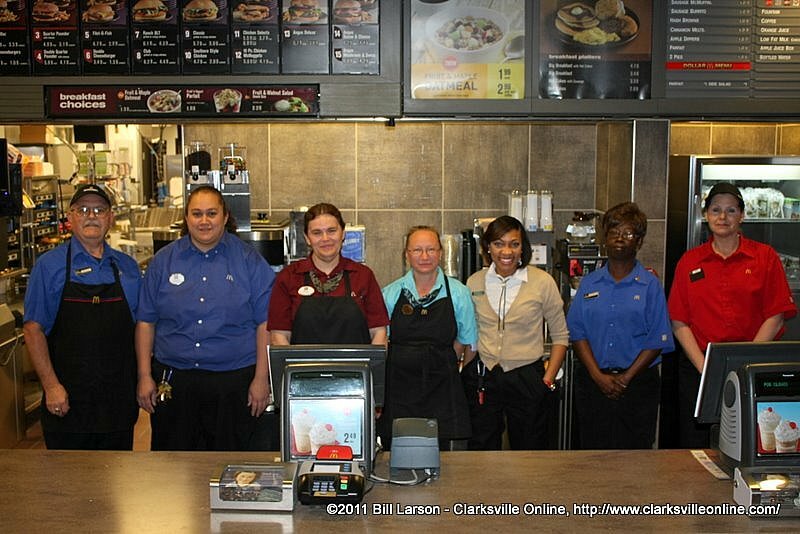 They had quite a bit of incentive to get the process complete as soon as possible, the Riverside Drive location has typically been one of the most profitable McDonald’s locations in Clarksville. The new restaurant will employ between 60-65 people with approximately 50% having worked at the location before the floods. 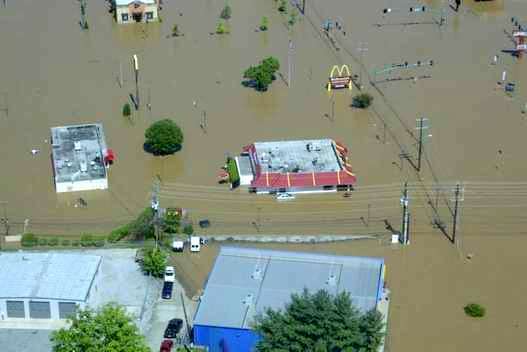 They were relocated to other area McDonald’s during the rebuilding process. The crew at the Riverside Drive McDonald's reopening. Jeff Hastings, Toafa Horton (Store Manager), Sheryl Easton, Rebecca Shattuck, Arleen Reed, Cynthia Snipes, and Dawn Holland. The dining room has plenty of windows to let in plenty of natural light resulting in an open airy feel. The décor is a modern look with images of fiber optics decorating the walls. The new Dining room features 94 seats, including the standard tables and booths, along with cafe style seating available. The location also offers free wireless internet with 5mbps of bandwidth. The restaurant is open 24 hours per day, with the dining room being open from 5:00am through 11:00pm. The drive-thru is always open. One of the most interesting features at the new McDonald’s is that the restaurant now faces towards Riverside Drive, with the drive-thru facing North Second Street. 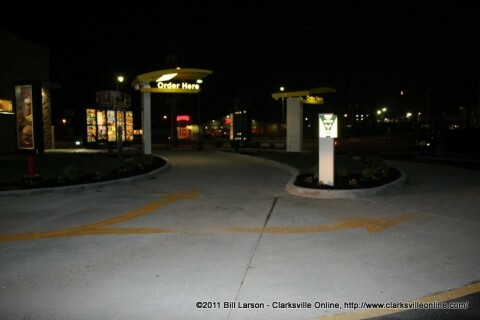 There are two order points at the drive-thru, with the cars merging to pay and pick up their orders. A camera at the order point takes a pictures of the car, and it is compared with the vehicle at the register and order pickup point to ensure that the right person pays for and picks up the right order. To Celebrate the reopening, Larson plans a weekend of characters on Saturday April 1st from 3:00pm-5:00pm your children can visit with Spongebob Squarepants and Elmo. 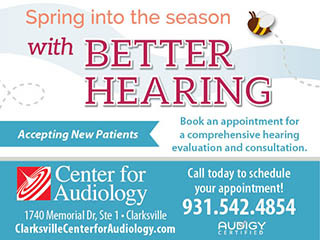 On Sunday April 2nd from 3:00pm-5:00pm they can meet Mickey Mouse and Dora the Explorer. Larson Enterprises will also be doing coupon drops in the community, with them designated for use at the Riverside Drive McDonald’s only. For more information about the Clarksville McDonald’s or Larson Enterprises visit them online at http://www.larsonenterprises.net/ or call them at 931-552-0627.